Ten years ago, one of the greatest moments of my life happened. It seems almost like a dream now. I made a movie and it showed at the Plaza in the city. For one night; April 1st, 2009. People paid to see it and everything, on the great big screen, yet. 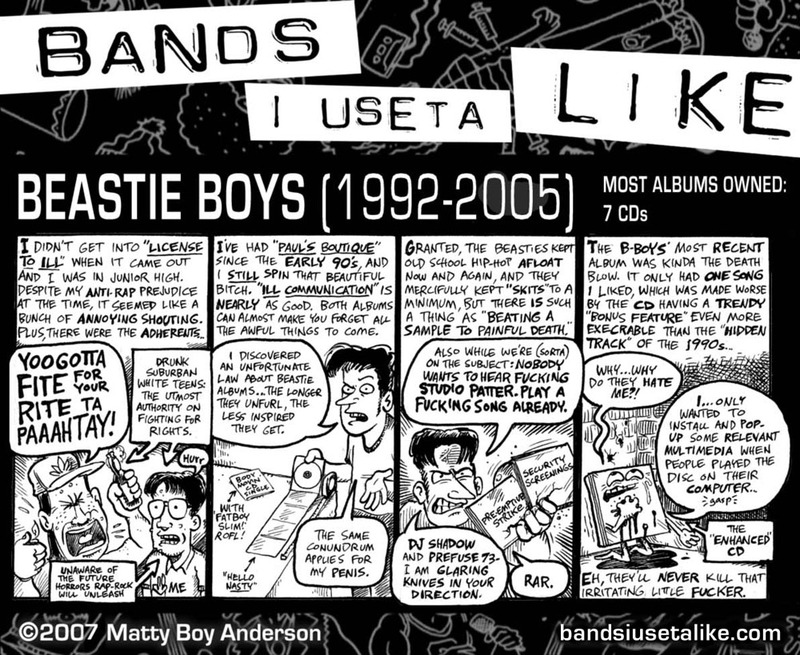 The following is an open letter to Facebook, Amazon, Google, and Spotify, from Matty Boy Anderson. Mr. Anderson is a 28-year veteran of newspaper comics, and has self-published his own comic books for equally as long. He has created Internet content for 20 years, and authored three websites. In 2008, after three years of production, he released a homemade movie that won Best Animated Feature at the Atlanta Underground Film Festival. Comments Off on Dear F.A.G.S. 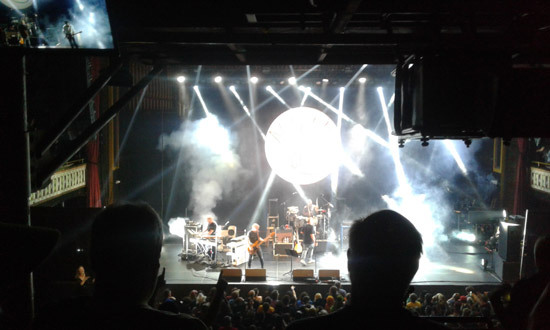 During one of the most stressful moving experiences of my existence on this planet (and I’ve had some doozies), I got to see Ween, after being a fan of them for 27 years. In case you haven’t been steeped in Internet culture for most of your life, let me explain. Cast your mind back to the year 2004 B.F. (Before Facebook). A leap year. 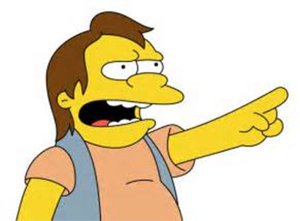 Hey- you know what? 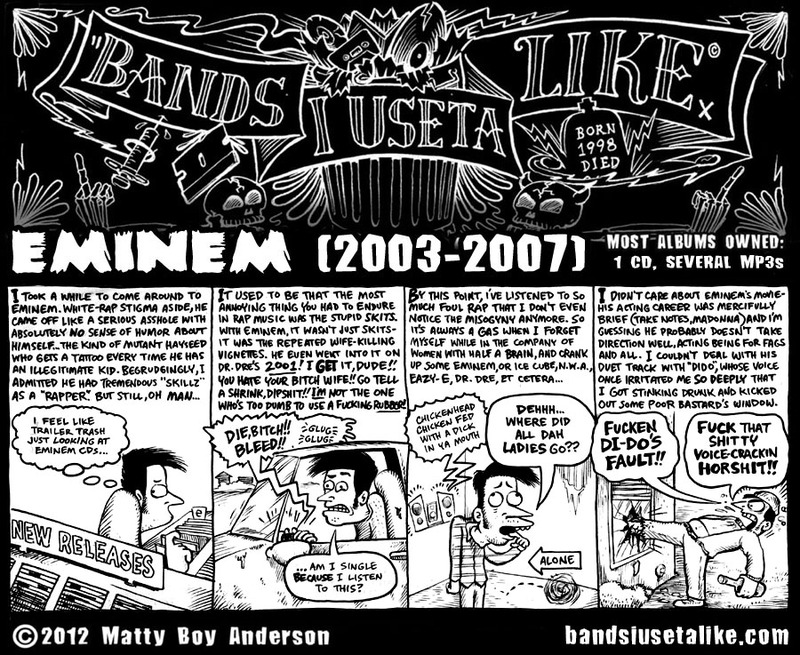 There’s no need to pretend that Marshall Mathers III isn’t lucky garbage anymore. None. When you’re polishing the brass railings of the HMS Titanic, it’s important to remember one thing; do it with style. Otherwise, why bother? The more you polish, the better you get. So what if the ship hits the iceberg and sinks? I won’t lie to you; I’m a conceited guy. I probably possess an overabundance of confidence in my own skills. As I grow older, I try to temper this arrogance, because I’ve seen how it can drive others away; friends, loved ones, fans. But you must understand the importance of this feature (not a bug). In today’s world, you have to be crazy to get anything accomplished. I have a “Messiah complex”, for which I blame no one but myself. My endless vitriol directed at the entertainment universe springs from the concrete belief that I can do better for you. I can give you what you really want. Set the Wayback Machine for 1998. 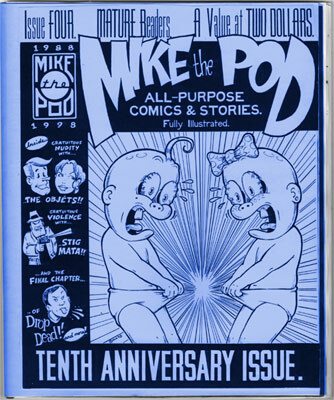 I was at Kinko’s, in the middle of the night, running off copies of Mike The Pod Comix #4 (the blue one). Those aren’t fonts. I didn’t have a computer. They’re typefaces copied from a book of antique alphabets, then literally cut and pasted. The rest is my own lettering. The fourth issue was a transitional one. Drop Dead, my “90’s comic book“, concluded in its pages, in lieu of a seventh issue. I reprinted the Liquid Paper Pirates and Squeeky Wheel Gets The Grease strips from FINK, as well as For Whom The Beef Jerks. Here is a foolproof, ironclad, never-fail method to keep your kids from being bullied. Ready? This is worth a million dollars. Here it comes.